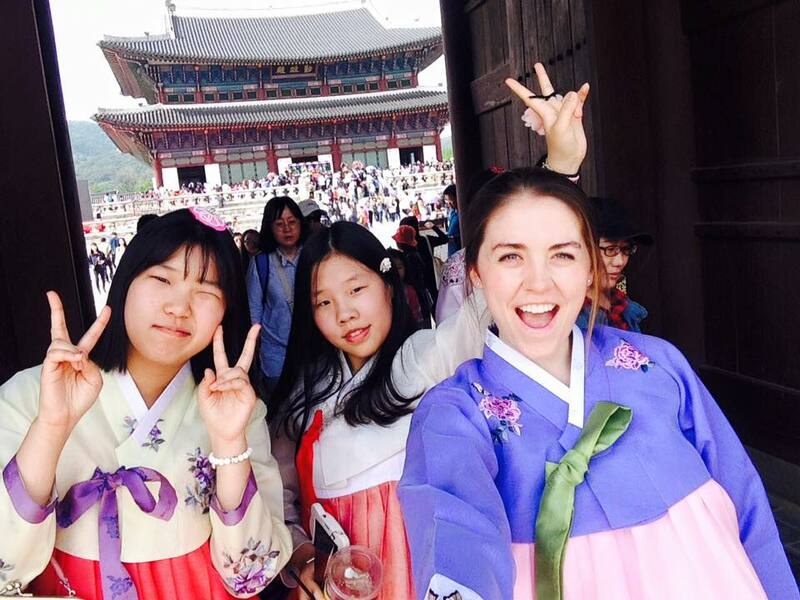 Lauren is from Charlottsville, VA and participated in the Korea AY 2015-2016 program. 한국어를 배우면서 배운 가장 중요한것은 바로 사람들이 같은 언어로 말하지 않더라도 그 사람과 친구가 될수 있다는 것이죠. 한국에 처음 왔을 때 한국어를 몰랐음에도 불구하고 홈스테이 가족, 고등학교 반 친구들이랑 빨리 친해졌어요. 그렇지만 언어를 배우는 것은 아주 중요한 일이라고 생각했습니다. 왜냐하면 외국어를 배울 때 언어만 배우는 게 아니고, 외국 문화도 배우는 것이니깐요. 가끔 한국어 표현을 묘사할 영어 표현이 부족하다고 느낍니다. 예를 들면 한국어로 정이라는 말이 있는데요. 한마디로 설명하긴 좀 어려운데 사람들이 오랫동안 함께 지내면서 그 사이에서 생겨나는 친근함이나 아끼고 좋아하는 마음 같은 정서예요. 5월에 귀국할 때 우리 홈스테이 엄마가 저한테 “정이 많이 들었다”고 말씀하셨는데 만약 한국어를 할 줄 몰랐다면 그 때 엄마께서 해주신 말씀을 하나도 이해하지 못했을 겁니다. 결과적으로 한국 거주 경험이 외국어를 배워야 미묘한 문화 차이를 이해할 수 있다는 제 생각에 영향을 주었죠. 저는 이런 특별한 경험을 통해 저와 아주 다른 사람들과 친해져서 다른 문화를 수월하게 이해할 수 있었어요. The NSLIY program was central in my decision to pursue a second major in East Asian Languages, Literatures and Cultures here at the University of Virginia. Before college, I received a NSLIY scholarship to take a gap year in South Korea for 10 months. 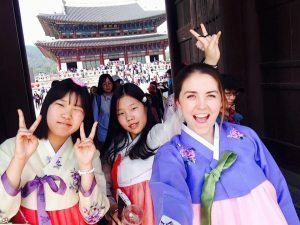 Throughout my time abroad, I was culturally immersed through everyday interactions with my host family and classmates at school. I truly believe that the most important thing I learned throughout my academic year in Korea was the necessity of language learning in conjunction with cultural immersion. The absence of language study in the pursuit of cultural immersion is futile– without linguistic understanding it is impossible to understand culture. This reality is evidenced through the Korean phrase “정이 들다”. Such a phrase is impossible to accurately express in the English language. While many dictionaries describe this word as “affection”, 정 means so much more. It also includes affection, compassion, sympathy, community, attachment. Without my understanding of colloquial expressions such as “정”, it would have been impossible for me to understand what my host mother meant at the end of my exchange year when she said that she felt we had developed “정”. Understanding the true meaning of such a word made her parting words that much more meaningful–I was able to understand an emotion that would be impossible to grasp if I had lacked an understanding of the Korean language. Thus, with each word I learned throughout my time in Korea, I wasn’t merely learning the Korean language, but I was also developing a better grasp of the Korean culture as a whole. 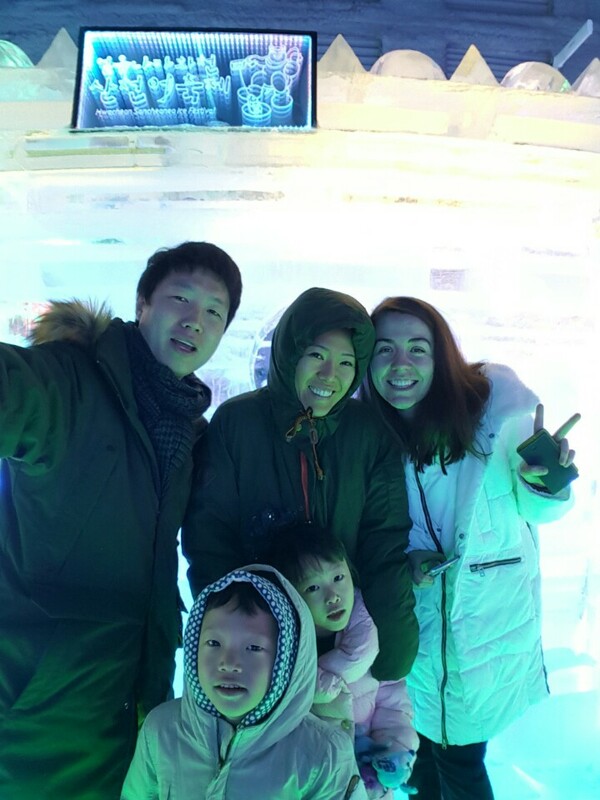 With this knowledge, I was not only able to better understand the Korean culture, but I was also able to develop meaningful, lifelong relationships with people of a language and culture drastically different from my own.